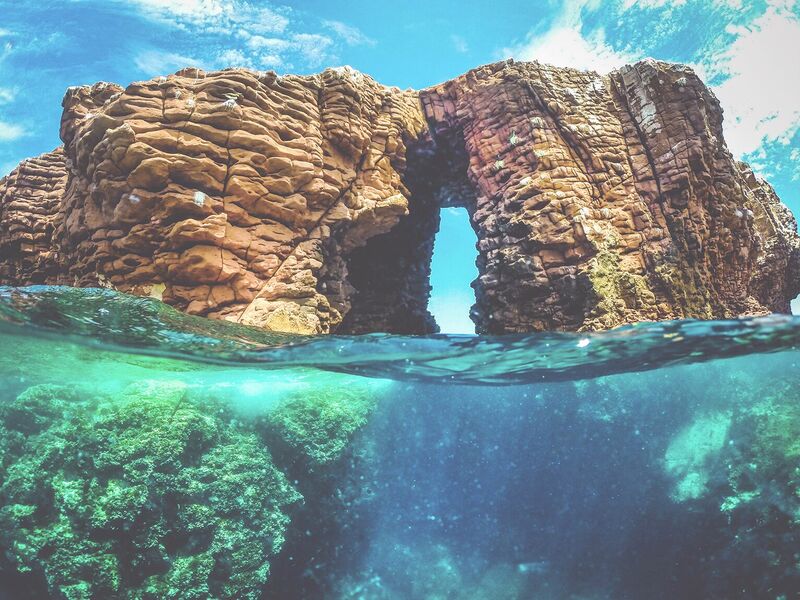 Cabo's Sea of Cortez is truly a sight to behold. It holds a stunning array of marine life and is a popular diving site. Learn more about the Sea of Cortez here! Traveling to Baja California or Mexico’s west coast? You won’t want to miss the Sea of Cortez. Nestled between the Baja California and the Mexican mainland, this truly remarkable body of water is distinguished by its incredibly diverse array of marine life, calm waters, pristine beaches, and unique geology both in and out of the water. Often called the “Aquarium of the World,” the Sea of Cortez is one of the premier diving sites on the planet. It’s also a protected UNESCO World Heritage Site. In this guide, our travel experts here at Cabo Adventures cover the Sea of Cortez and its many wonders. We also provide information and links to some of our many tours in the region — great for first-time visitors and seasoned travelers alike. Read on to learn more about the Sea of Cortez and book your next adventure with our award-winning team today! What is the Sea of Cortez? Where is the Sea of Cortez? The Sea of Cortez (also commonly called the Gulf of California) is a marginal sea of the Pacific Ocean located between Mexico’s Baha California Peninsula and the country’s mainland. The total coastline of the Sea of Cortez is approximately 4,000 kilometers (2,500 miles) and its total surface area is approximately 160,000 square kilometers (62,000 square miles). 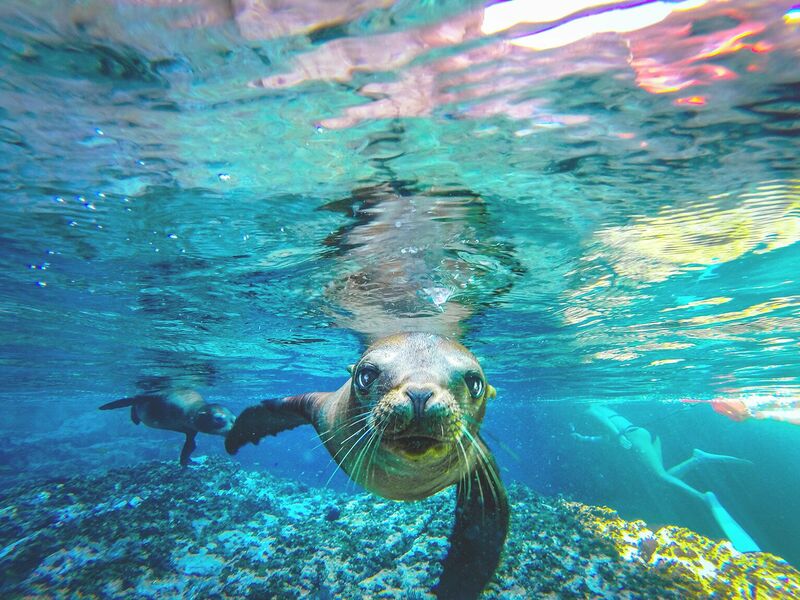 Whether you are searching for deep sea diving or simply trying to relax on the beach, you’ll find no shortage of things to do in the Sea of Cortez. On land, the sea’s thousands of miles of coastline feature hundreds of pristine beaches, hilly landscapes, and other amazing geological features. Beachside retreats, nature hikes, and off-road adventures are all excellent activities to enjoy on the shores of the Sea of Cortez. On the sea itself, sailing, kayaking, and water sports are great choices for those who prefer warm, calm waters. However, when it comes to water activities, snorkeling and scuba diving reign supreme in the Sea of Cortez. That’s because this unique body of water is home to thousands of rare and amazing marine wildlife species. You can learn more about wildlife in the Sea of Cortez in the following section. Due in large part to its unique climate and geographic features, the Sea of Cortez harbors a rich marine ecosystem as diverse and spectacular as any on Earth. Its placid and protected waters harbor thousands of fish and mammal species, as well as some 5,000 species of micro-invertebrates. In addition to a wide range of endemic creatures, such as the critically endangered tiny vaquita, the Sea of Cortez also hosts many migratory species, such as the humpback whale, California gray whale, killer whale, manta ray, leatherback sea turtle, and Humboldt squid — as well as the world's largest animal, the blue whale. The Sea of Cortez’s more than 900 islands are important nesting sites for thousands of seabirds, and its rich waters are primary feeding, breeding, and nursing grounds for a plethora of migratory and resident fish species. The unique ecosystem found in the Sea of Cortez, as well as its overall natural beauty and scientific significance, have earned it special status as a UNESCO World Heritage Site. Protected by both national and international bodies while still being utilized for tourism and commercial ventures, the Sea of Cortez embodies the delicate balance between use and preservation. By visiting its waters, travelers will see firsthand that the Sea of Cortez is both a natural wonder and a testament to human cooperation. The “Aquarium of the World” is filled with both amazing marine animals and those who cherish them. Ready to visit the Sea of Cortez? Want to learn more about this truly remarkable UNESCO World Heritage Site? Our travel team at Cabo Adventures is here to help. Explore our website for information on our many award-winning Sea of Cortez tours, and contact our team directly for travel and booking information.